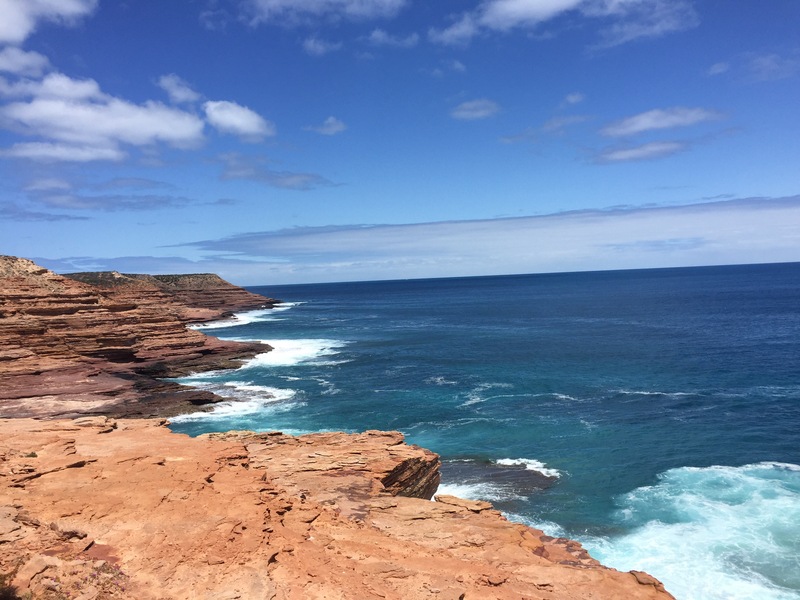 Kalbarri was our next stop on our road trip to Perth. This is a coastal town that has a national park and a long coastal walk/drive to keep you occupied. We arrived on the 7th October 2017 and planned to stay there a couple of days. 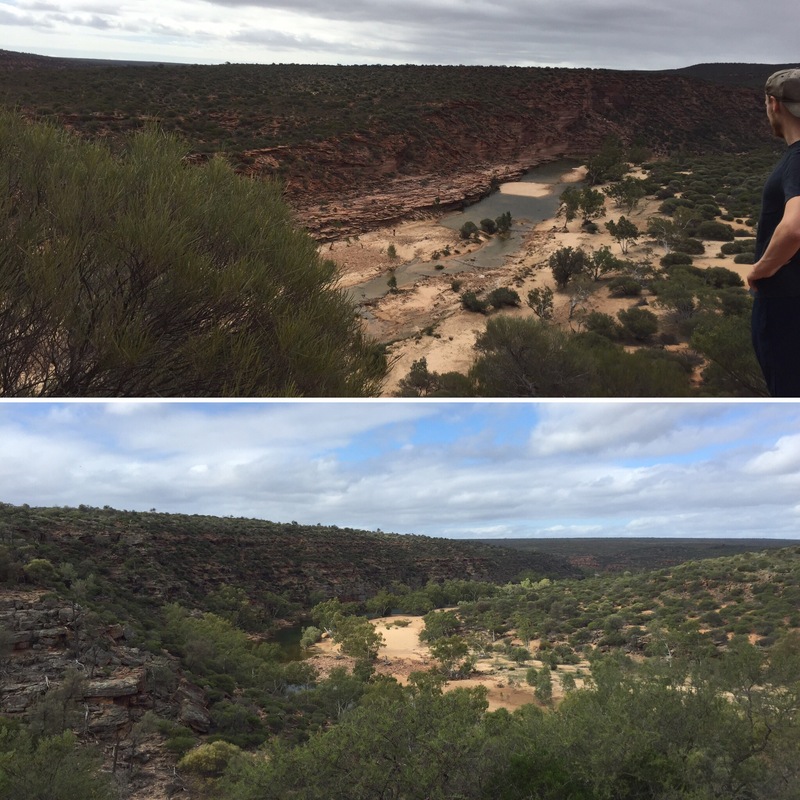 Kalbarri didn’t have any free campsites so we chose to camp in free spots outside of town and then come back in and see things during the day. This worked out well as the routes on the national park were on the way to our first camp spot so we ended up not having to go back on ourselves too many times. 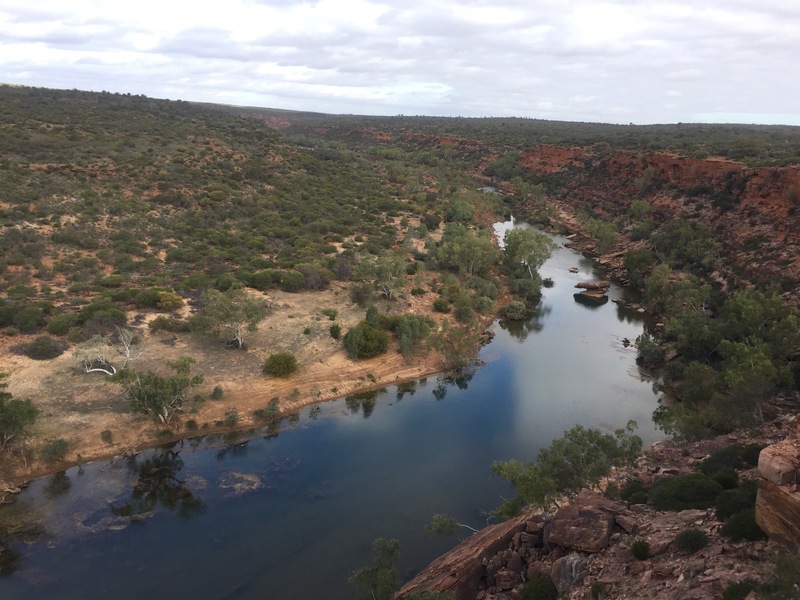 It had rained on our way to Kalbarri which we hadn’t been too pleased about having not seen rain for weeks. 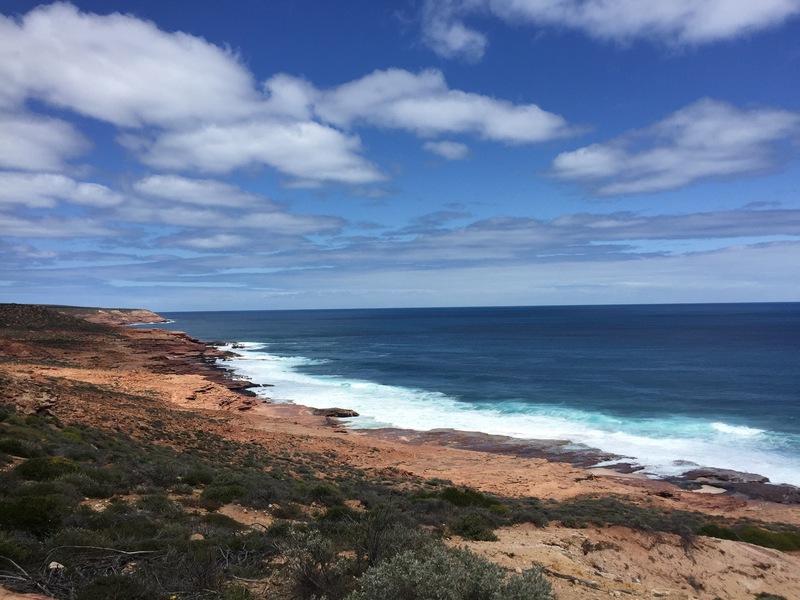 Fortunately, it brightened up and, although we didn’t have really hot weather, the sun did come out and the rain stayed away once we arrived into Kalbarri. At first we had thought that we wouldn’t be able to see much of the national park as the roads on the map were said to be unsealed. 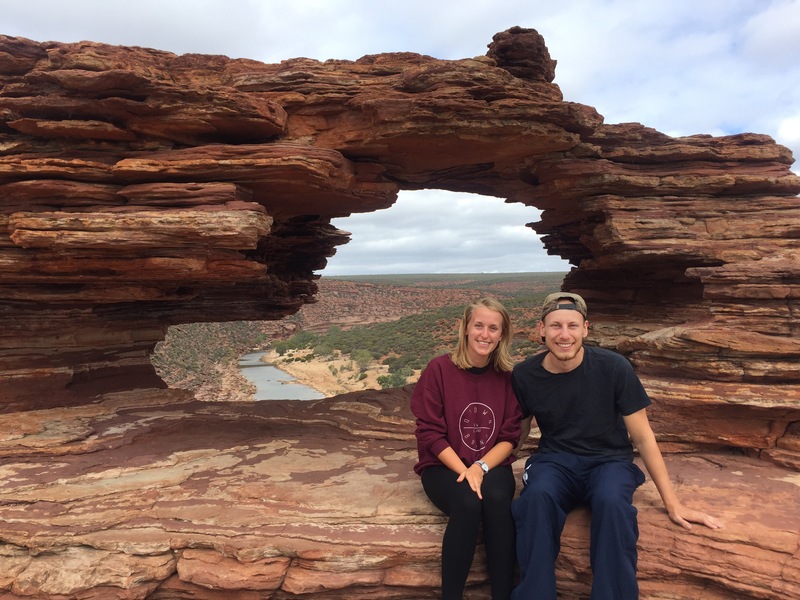 Lucky for us, Kalbarri has been working on making their national park a lot more accessible and so all of the roads are now sealed meaning we could see it all.Our first stop in the national park was to the Z-bend lookout. It was really pretty and showed a wide gorge surrounded by red rock with a clear greeny/blue river meandering through it. As the name suggests the lookout showed us the ‘Z’ section of the river bending through the rock. It was really nice here and there was an option to do a longer walk through the gorge but we didn’t really have the time. Nature’s Window was the next stop of the day and is one of the most photographed views along this section of the West ﻿Coast. 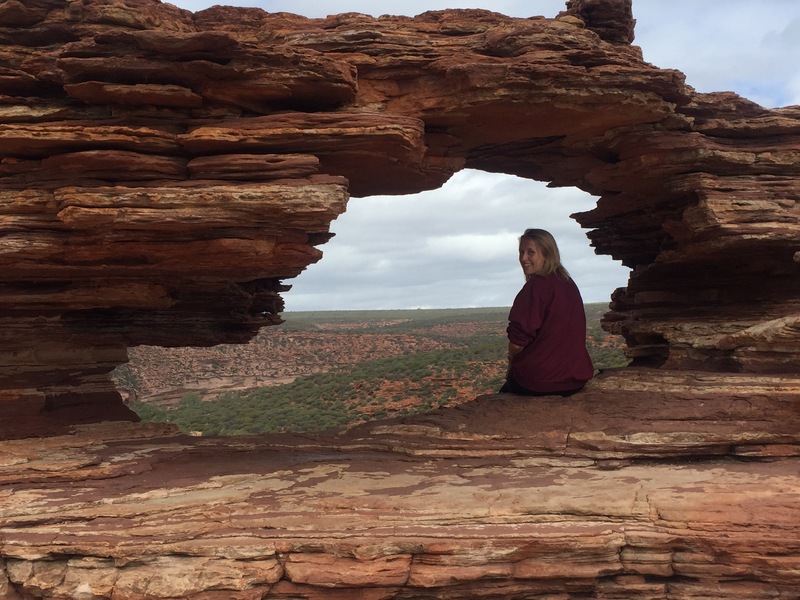 There is a rock formation that has led to a hole in the rock creating a natural picture frame (or window as the name suggests) through which you can look out onto the amazing national park. The view is really nice and we spent quite a while here enjoying the view. 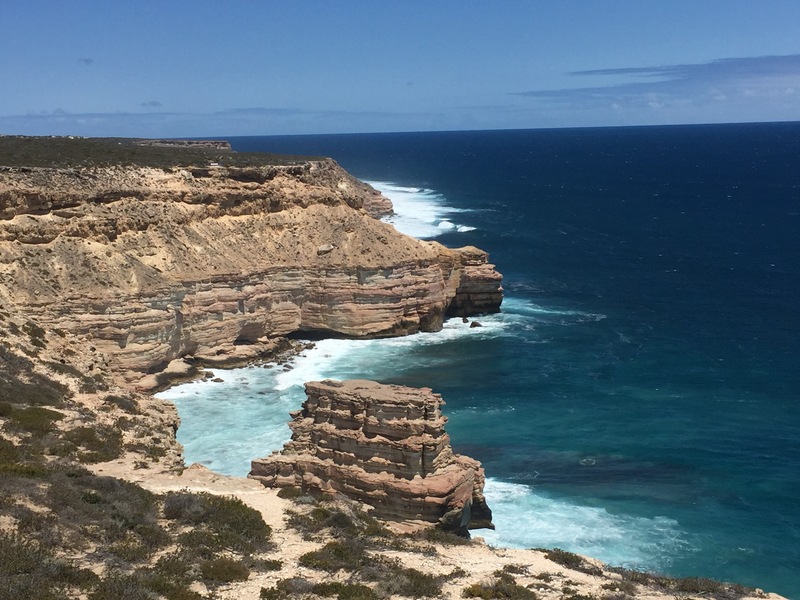 The next two lookouts were to Hawks Head – named because of the shape of the rock – and Ross Graham Lookout which shows you the river and was named after a school teacher from the sea who did extensive research and conservation in the area. 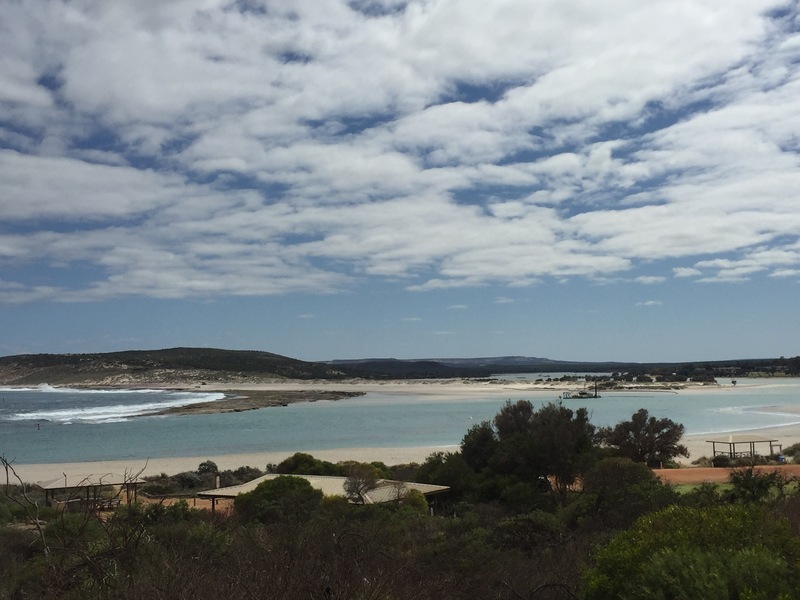 Both gave great views and showed us more of the Kalbarri National Park which is really pretty. The next morning, we headed back into town to feed some pelican’s. Most of you won’t know but I’m scared of pelicans. When I was very little a pelican gave me a huge fright and tried to eat me (ok, well it didn’t actually but it definitely seemed that way at the time). Ever since I haven’t liked them and so we were going to go and feed the pelican’s as my shark moment (like when Niall faced his fear of sharks in Fiji by diving with them). Unfortunately, there were so many more people there than what we had imagined so it didn’t end up being like the reality. Naively we had imagined there not being many people and us having the chance to go near to the pelicans to feed them for quite a while. This wasn’t the case at all and there ended up being a huge crowd of people and loads of children so, as is always the way, the kids got to do most of the feeding. 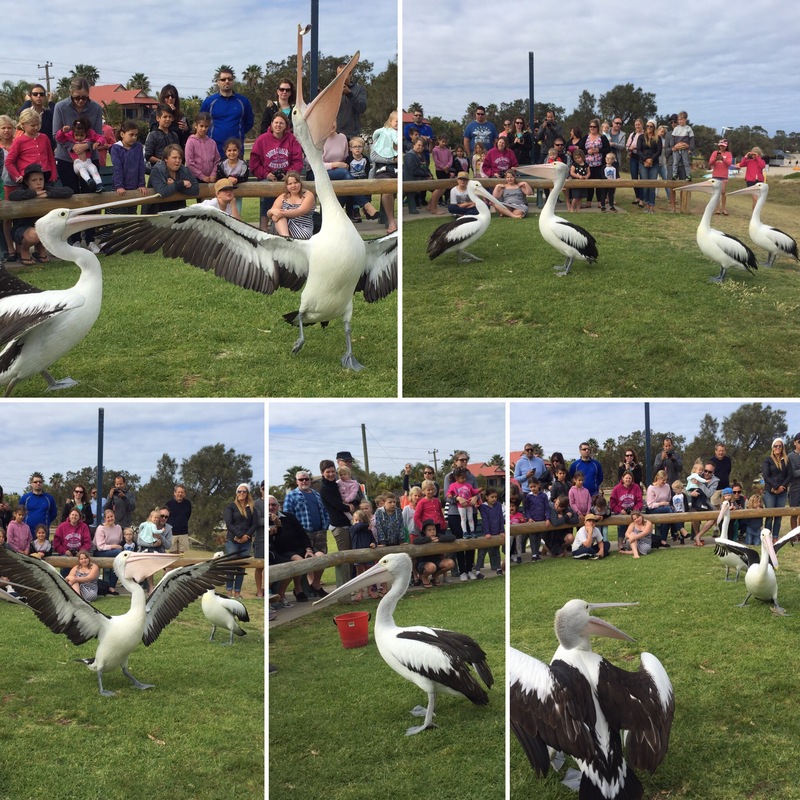 I ended up getting to throw one fish to a pelican but, to be honest, I’ve been closer to them when I’ve been walking along a beach in Australia and so it certainly didn’t feel like I’d accomplished anything. 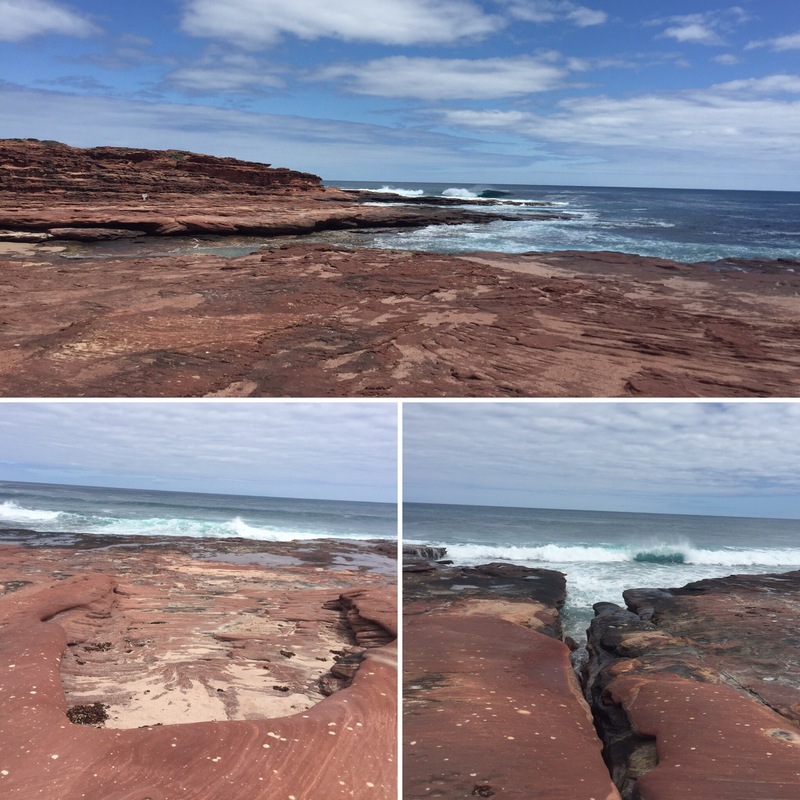 Disappointed, we left, putting it to the back of our minds and getting on with our day again exploring Kalbarri’s coastline. 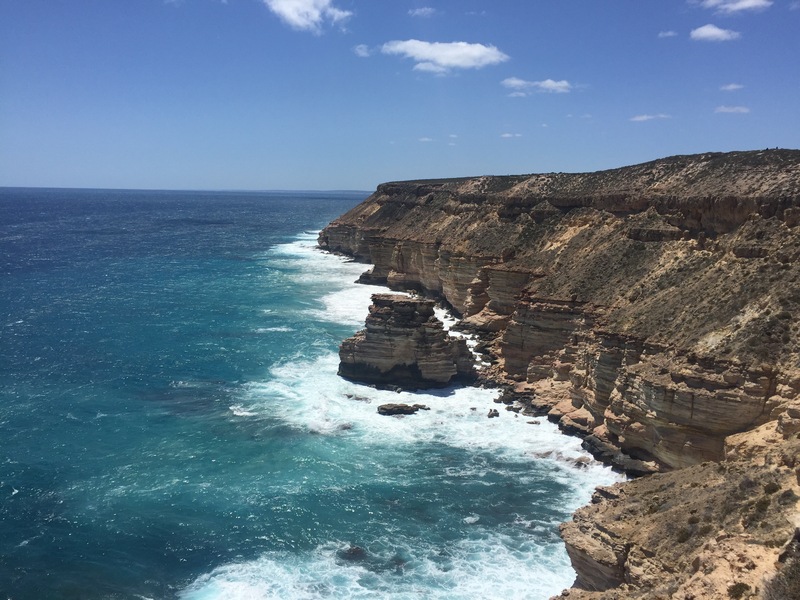 Kalbarri has created a route that you could either drive or walk that stopped off at a lot of different points along the coast. The sun had come out for us so even though it wasn’t the warmest we had a nice day ahead of us for exploring. Pot alley: we saw whales out at sea here! Eagle Gorge: we saw some more whales here! Island Rock: this is a segment of rock broken off from the mainland and now sits alone out to see. Kind of a mini apostle like on the Great Ocean Road (although not as good). After heading down the coastal route we headed to Hutt Lagoon. 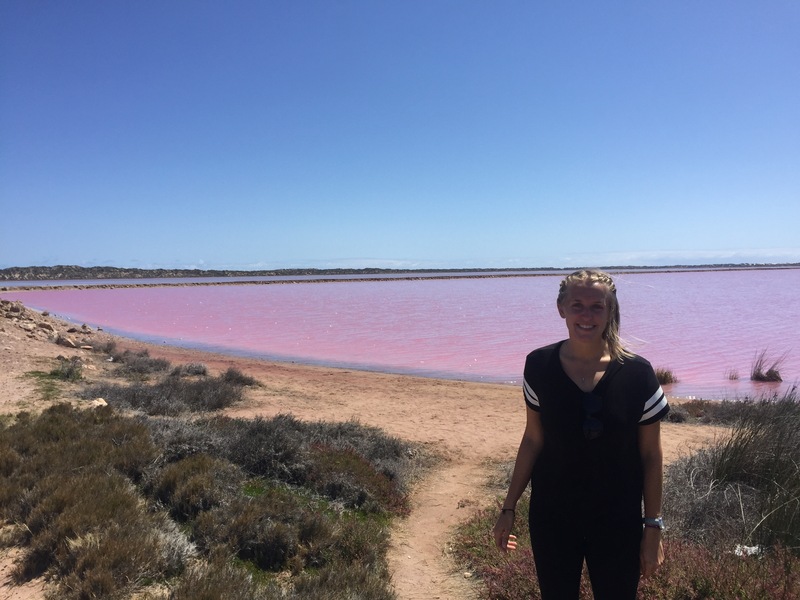 I was really looking forward to this part of our day as Hutt Lagoon is a naturally pink lake and we have wanted to see one since we first got to Australia almost a year ago. 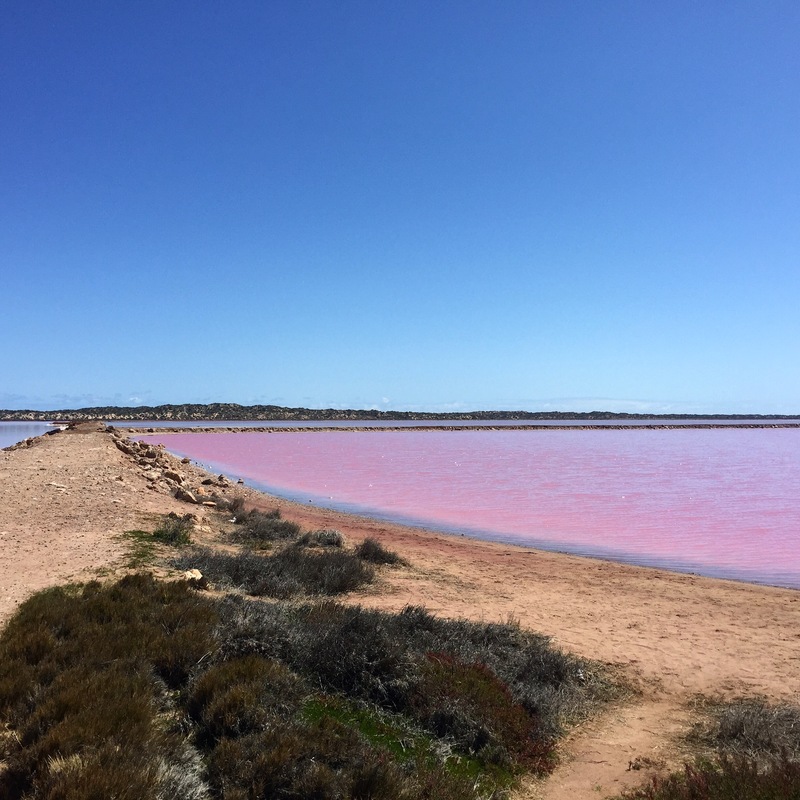 The lake is pink due to the presence of the carotenoids-producing algae called Dunaliella Salina. This is a source of beta-carotene, a food-colouring agent and a source of vitamin A. It was amazing to see the lake being pink, I got so excited when we drove over the bend and saw it that I gave Niall a fright from my exclamations while he was driving. 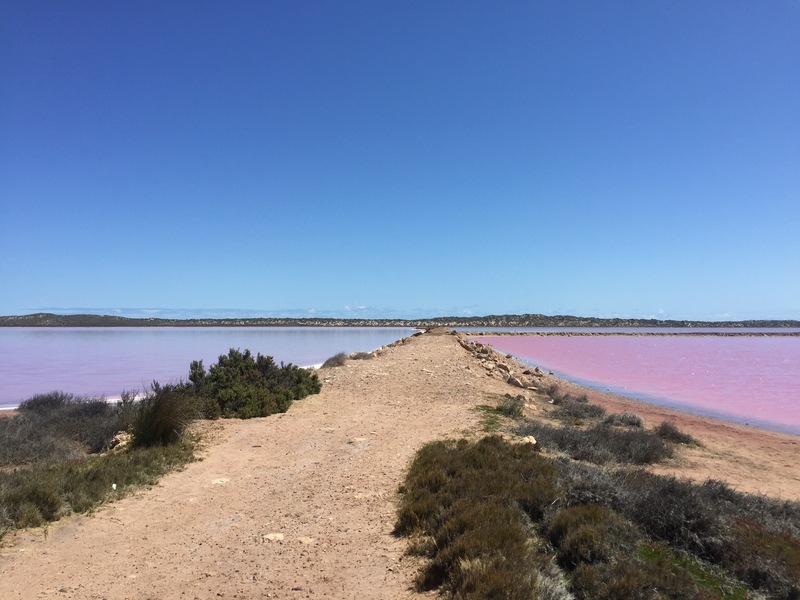 The lake is different shades of pink in different sections so the pictures don’t show how pink it can go as we could only stop off at certain points. It’s probably my highlight from the day as we had resigned ourselves to not being able to see one and it was mainly luck that we found one on our route down to Perth. 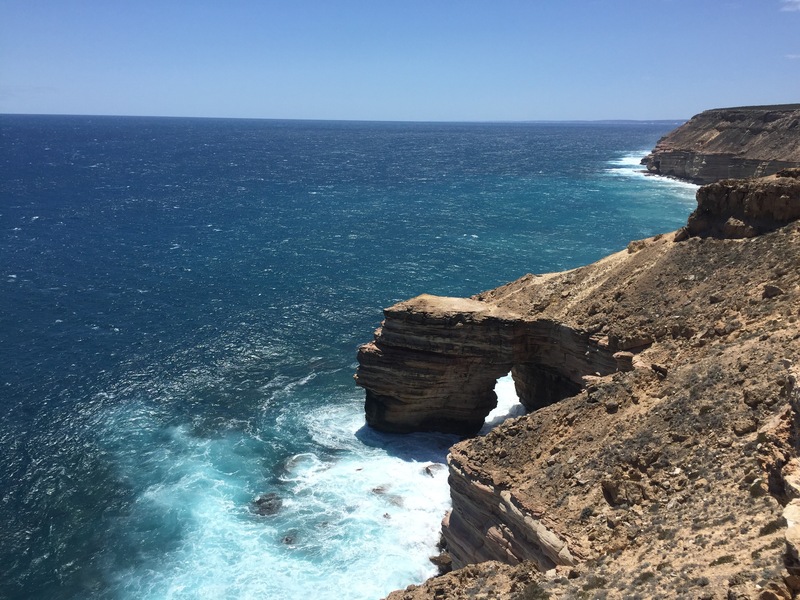 It had been another good couple of days and Kalbarri is a lovely area to drive around for a day or two if you have the time. 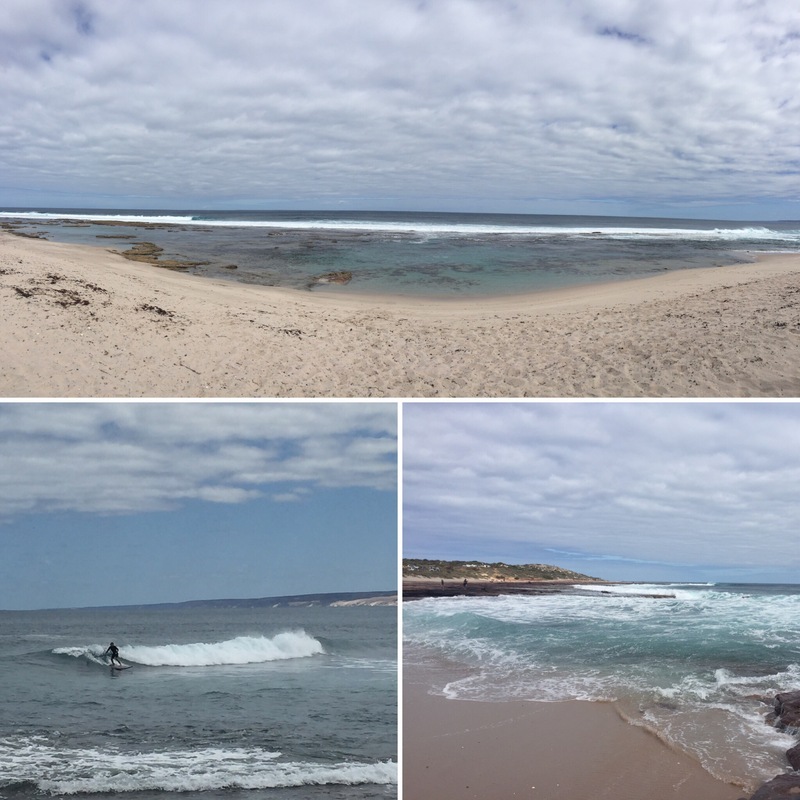 I imagine the little town gets packed in the summer with it being a manageable 5 hours from Perth so it was nice being there when it was a little less busy. 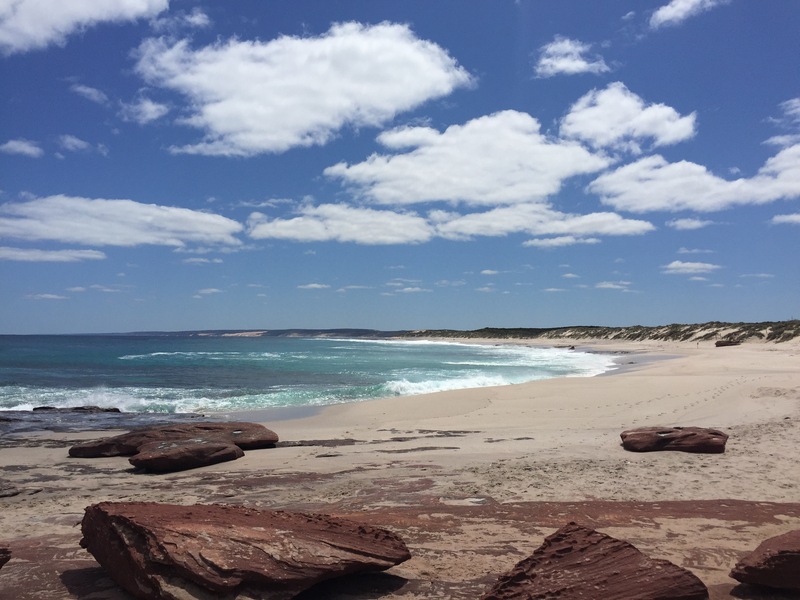 We would be camping in Geraldton that night, leaving only a few more days before we reached Perth and the end of our road trip.